Do you live in Bingley, Harden, Cullingworth or Wilsden? Are you looking to purchase a multi-fuel stove? We at the Leeds Stove Centre have now become one of the leading suppliers and installers of Multi Fuel Stoves to the Bingley area. We are renowned for our huge choice of stoves, available in a variety of finishes, styles and sizes. We have designs ranging from sleek, modern stoves to traditional cast-iron decorative stoves. Our stoves are not just intended to look great but also provide an effective and efficient heat source to heat the majority of the home. Many of our multi fuel stoves are available to view in our newly extended purpose built showroom in Leeds, just 30 minutes drive away. By visiting our showroom, you will be able to gain an insight into how a new stove would look and feel plus gain valuable insights into the operation of the appliance. At Leeds Stove Centre we pride ourselves in supplying the highest standard of stoves that we can at the best possible prices. Therefore, we supply stoves from many leading manufacturers such as Charnwood, Stovax, Yeoman, Burley, Morso, Dik Guerts and more, plus lesser-known manufacturers too! With such a huge range of brands to select from, with a variety of styles available, we feel that you are certain to find your perfect stove from us. Should you wish, we also offer a full in-house installation service from start to finish. All our engineers are HETAS registered and able to install both stoves and flue systems ensuring compliance with current regulations. Please call us on 0113 255 5622 to arrange a free installation survey or for answers to any questions that you may have. 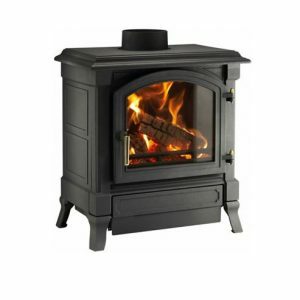 Leeds Stove Centre – Number 1 supplier of multi fuel stoves in the Bingley area.